J Street and like-minded groups are denouncing Donald Trump’s ambassador-designate to Israel, David Friedman, over a comment Friedman once made comparing Jewish advocates of the Palestinian cause to Jews who collaborated with the Nazis. I’m not particularly comfortable with Holocaust analogies. But I’m also not particularly comfortable with hypocrisy. In a fundraising email this week, J Street denounced Friedman’s “horrifically offensive rhetoric.” Yet just days ago, the same J Street publicly endorsed a candidate for the chairmanship of the Democratic Party who compared President George W. Bush to Adolf Hitler. U.S. Rep. Keith Ellison (D-Minn.), who is seeking to head the Democratic National Committee, made his Hitler remark in 2007, so J Street can’t dismiss it as something he said when he was in college. And Ellison’s remark was videotaped, so nobody can claim it was edited or taken out of context. Comparing Bush to Hitler, suggesting that Bush carried out the 9/11 attacks in order to blame Muslims—I would consider that it to be “horrifically offensive rhetoric,” as J Street said about Ambassador-designate Friedman. Yet for some reason J Street is perfectly comfortable with Ellison’s horrifically offensive rhetoric. Why doesn’t J Street consider Soros’s statement horrifically offensive? Do his large donations to J Street affect its judgment? I checked J Street’s website, and could not find any statement condemning Rice’s horrifically offensive comparison of Israel’s prime minister to Adolf Hitler. Why the silence? So pardon me if I’m not impressed by J Street’s indignation about David Friedman. When it consistently speaks out against Holocaust analogies—including those made by its executive committee member, Aaron Rice; its donor, George Soros; and its endorsee, Keith Ellison—then J Street might be taken a little more seriously. But I’m not going to hold my breath. 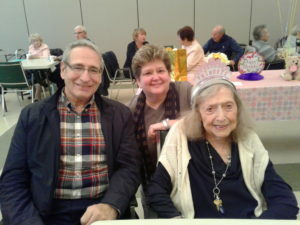 About 40 members of the Jewish Family Service Senior Program joined Libby Goldberg to celebrate her 100th birthday. Libby Goldberg celebrates with her son Larry and JFS Executive Director Dr. Carole Rogers. Libby moved from Chicago to B’nai B’rith housing about 10 years ago to be closer to her son Larry, who lives in Denton. Larry joined his mom and friends for the festivities. Everyone enjoyed lox, bagels and all the trimmings. A highlight for Libby, besides being with her friends and Larry, was her favorite Black Forest cake! Mazal Tov! More than 30 Daytimers gathered in the Great Hall at Temple Beth-El to celebrate Hanukkah. Everyone noshed on latkes accompanied by sour cream and applesauce and watched a selection of Hanukkah videos while they ate. On Jan. 18, Daytimers will meet at Congregation Ahavath Shalom for a baseball lunch and to explore a special Jewish baseball exhibit. On Feb. 15, a speaker from the Amphibian theatre will be explaining how they operate and present insights into coming attractions. On March 15, they will view Memories of Survival, a special collection of needlepoints celebrating the major Jewish holidays and remembrances of the Holocaust. On April 19, they are expecting to offer a musical presentation. And in May, a video release of Chicago. For more details and reservations, please contact the Daytimers coordinator, Larry Steckler, by email at daytimersfw@aol.com or by phone at 817-927-2736. To keep informed about all Daytimers events ask to be added to the email list by sending your request to daytimersfw@aol.com. Several hundred people are gathering at the JCC on Sunday, Jan. 15, to celebrate Congregation Ohev Shalom with the Rodins, the shul’s founders, Ohev alumni and the current crop of Ohev Shalom families. When most families take a Sunday drive, they may be looking for a restaurant and hoping to find a good parking spot. When Rabbi Aryeh Rodin and his wife Rebbetzin Henny used to drive around Dallas in the 1980s, they were looking for mezuzahs and a place to park their Torah scroll. Where they found mezuzahs, they found Jewish pride, a pintele Yid (a little spark of Judaism) and, when they found that in Far North Dallas, they knew they had found a place to build a shul. Thirty years later, several hundred people are gathering at the JCC on Sunday, Jan. 15, to celebrate Congregation Ohev Shalom with the Rodins, the shul’s founders, Ohev alumni and the current crop of Ohev Shalom families. We all know it takes more than a building, more than a Torah scroll, and more than a rabbi to make a shul. It takes what the Rodins would call siyata d’shmaya — heavenly assistance. So, if you build it they will come, right? It wasn’t too long before single mom Ralene Klugman, and young marrieds Michael and Joan Margolies, discovered Ohev Shalom and started coming to services with their children. Ralene eventually remarried and her husband Isaac Botbol became a dedicated member of the slowly but steadily growing Ohev community, as did her brother and sister-in-law, Ivan and Melanie Sacks. Dr. Don and Charlotte Bernstein began attending services, along with a kindly couple named Sam and Sandy Mandelbaum, who met the Rodins and started coming to shul with their teen and young adult daughters. And while that was true — Chana Fishman was the first lady of Congregation Ohev Shalom — Susan Baum has been the heart of the shul for 30 years. Everyone from the old days remembers watching Susan’s tow-headed boys Jordan and Eli sitting with their father Michael in shul each week, learning to sing Adon Olam and then the more complicated Anim Zemiros. One year, right before Pesach, in the prime of her young life, Susan was diagnosed with cancer. Susan’s pain, Michael’s pain, their terror was shared by everyone in the growing Ohev community. Meals were cooked. Babysitters and playdates were arranged. Rides to chemo appointments were provided. Hugs were shared. Tears were shed. Prayers were sent on high and many, many hours of Torah were learned in the merit of a full and speedy recovery for the beloved Susan Baum. More and more people found their way to Ohev Shalom and they joined spiritual forces to pray for Susan. It was perhaps this crisis that cemented an assemblage of North Dallas neighbors into the solid Jewish community that has since seen such tremendous growth in strength and numbers. Chana Fishman suggested that the community say psalms. Everyone in the Ohev family volunteered to say a psalm or two. Those who knew Hebrew said their “kepitel Tehillim” in Hebrew, those who knew English said it in English, those who knew French or Spanish best pleaded with God in their mother tongue. The entire book of Tehillim, all 150 psalms, was recited daily. Reader, at this point in the article, I must interject that I am a minor character in the Ohev Shalom story. I was a 19-year-old student at UTD. I walked 3 miles (that’s 6 miles round-trip) to shul each week. And during Jewish holidays, I walked 6 miles round-trip several times a week. When my brother Charles used to come visit, he was the only Kohain at the minyan and he always got a warm welcome. “Chaim Tuvia ben Yoel Meir HaKohain!” the minyan welcomed him with the first, most honorable aliyah. Before cancer struck Susan, I used to baby-sit for the Baums’ children every Tuesday night. I loved their family and I built my image of a happy home on what I saw in theirs. While Susan was still undergoing treatment, however, I graduated college and moved to New York. My life moved on. I attended much bigger shuls than Ohev Shalom. Years passed. I heard Susan had recovered, thank God, but I still said Tehillim in her merit every day. I didn’t once call her; I never took two minutes to mail her a card. I was, in some respects, a terrible friend…but I never stopped praying for her health, her wholeness or her happiness. Twenty years after Susan’s cancer diagnosis, many years after the Rodins started that little shul, I moved back to Dallas with a young family of my own. What a transformation! Now the kehilla met in a converted house — not a storefront behind the Albertson’s on Hillcrest and Arapaho that had been my spiritual home, but a large home (God’s house) at the corner of Hillcrest and McCallum. And now there were dozens of families. And there was Susan Baum, smiling, arms wide-open to give me a hug. And there was someone beside her. A beautiful young woman with a warm smile, whom Susan proudly introduced as her daughter Miriam. A miracle baby who was born to the Baums after Susan’s complete recovery from cancer, now a miracle teenager. I think I cried more than I smiled that day but it was all the same. Alas, one day not too long after that, my former babysitting charge Eli Baum, then 28 years-old, on a walk home from the library, suddenly collapsed and died on a North Dallas sidewalk, just a few blocks away from the shul where he grew up. May his memory be a blessing. Within seven months, his father Michael Baum, of blessed memory, who many will remember went on to serve as an ever-helpful, ever-smiling, ever-holy mashgiach at the kosher Tom Thumb, also passed away. These losses resonated deeply for everyone at Ohev Shalom. This is a shul of people who “love peace”; that is what our shul means. So, we gathered by the dozens and hundreds to mourn and to offer comfort to the mourners, just as we gathered to pray, just as we gathered to celebrate when Miriam Baum went on to graduate high school, went on to study in Israel, went on to a career in medical diagnostic imaging in New York, and then got married. Oh, how the Ohev Shalom community celebrates! The Rodin children grew up, too, of course: Reuven, Shoshana, Avraham and Shalom (the twins), Hillel, Dovid, Menucha and Akiva. 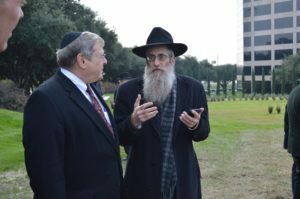 Reuven and Shalom Rodin are now both also known around Dallas as “Rabbi Rodin.” Av Rodin lives with his family in New York, where he works as a businessman. Shoshana married a SEED boy named Danny who is now better known as Rabbi Daniel Ringelheim, a rosh yeshiva at Texas Torah Institute, thank you very much! Dovid and Menucha are married…there are daughters-in-law, sons-in-law and many grandchildren, thank God. At this point, the Rodin family could be their own minyan! And what’s interesting is that the shul has taken on a life of its own. Walk into Ohev Shalom any Shabbos morning, any Jewish holiday, and you will find Avi and Toby Grossman, Zak and Chani Klein, Eli and Dana Tabaria, Andrew and Shani Margolies, Aaron and Dalia Yurowitz (current president of Ohev Shalom’s flourishing sisterhood), Danny and Shoshie Strassman, Isamu and Rochel Hartman, Evan and Susanne Rosenhouse, Charles and Sharon Michaels, Lou and Diane Calmenson, Yehuda and Nina Istrin, Lane and Hanki Harris, Chaim and Ellen Gutgold … plus dozens of other families … and a hundred children or more. The Rodins built it and they eventually came. “Our family went through a very challenging time when I suffered from severe postpartum depression after our daughter was born in 1999. This was no baby-blues and the depression lasted for about four months. Rabbi Rodin and Henny hired a night nurse for us during those first few weeks and were constantly supportive, with practicalities and incredible chizuk. The amazing ladies in the community rallied together and literally organized shifts to come to our apartment and help us cope day to day during this difficult time. We were the recipients of such an outpouring of non-judgmental, patient love and support, from so many people in the community, from meals, to babysitters, clothes and baby accessories and so much more. The rebbetzin’s piety is the spirit of Ohev Shalom. That, and Ted Fishman’s determination that these holy Rodins would succeed in building a Jewish community in North Dallas. That, and the extraordinary commitment of Ivan Sacks, who eventually succeeded Ted Fishman to serve as longtime president of the board. That, and the kindness of Rachel and Moe Gabbai and the modesty of Mike Nathan, who, for more years than anyone can count, has every week taken it upon himself to clear the plates and cups after Kiddush. No one asked him. Mike doesn’t often accept help. Like Rebbetzin Henny, he doesn’t want anyone to take this mitzvah from him. Mike is often the last one to leave the building Shabbos morning after Kiddush simply because he won’t leave until God’s house has been put to rights and it sparkles, ready for the next service. This is the spirit of Ohev Shalom. And this is why hundreds of members, present and past, will gather on Sunday, Jan. 15, to celebrate the 30th anniversary. “We need siyata d’shmaya,” Henny Rodin smiles patiently. On Nov. 1, the U.S. Postal Service dedicated the Hanukkah Forever Stamp. You can buy these stamps and use them “forever” — a great service of the U.S. Postal Service. “BOCA RATON, Florida — The U.S. Postal Service’s new Hanukkah Forever stamp — available nationwide today — features a warm, elegant illustration of a holiday menorah in the window of a home. The eight nights and days of Hanukkah begin on the 25th of Kislev in the Hebrew calendar, a date that falls in late November or December. In 2016, Hanukkah begins at sundown Dec. 24. “The first-day-of-issue stamp dedication ceremony took place at the Temple Beth El of Boca Raton. The public is asked to share the news of the stamp using the hashtag #HanukkahStamps. “Low, of Huntington, New York, worked under art director Ethel Kessler of Bethesda, Maryland, who designed the stamp. “Joining Williams in dedicating the stamp were Temple Beth El of Boca Raton Rabbi Jessica Brockman, Senior Rabbi Dan Levin and Rabbi Greg Weisman. U.S. Postal Service South Florida District Manager Jeffery Taylor served as master of ceremonies. Every Jewish website and blog today talks about growing anti-Semitism and this time of year we are particularly sensitive to it. The tradition for Hanukkah is to put your hanukkiah in the window so that you are publicizing the miracle of the oil. Should we be “Maccabees” today and not be afraid? The answer is a definite yes! This beautiful government-issued reminder that we can and should shine our light! Happy Hanukkah. Steve and Marianne Noskin light the Hanukkah menorah in Frisco at the Chabad of Frisco community menorah lighting. Southwest Jewish Congress invites the community to a riveting three-part lecture featuring distinguished speakers on the topic of the Sephardic Expulsion from Spain in 1492, the subsequent underground practices of these Crypto-Jews and how we see effects of this event in our world (including Texas) today. “The Crypto-Jewish Experience: Where It Began, Where It Is Now” will be held from 2 to 5 p.m. Sunday, Jan. 8, in Davidson Hall Jindal School of Management at The University of Texas at Dallas. Free parking will be available in Lot M.
The speakers include Dr. Peter Tarlow, Ph.D., former campus rabbi at Texas A&M University, currently Governor Abbott’s appointed chairman of The Texas Holocaust and Genocide Commission; Dr. Xico R. Garcia, a physician in Dallas and a descendant of the Spanish Conquistadors and Crypto-Jews who settled Jewish communities in Northern Mexico and South Texas; and Jacob Monty, a well-known Texas attorney and president of the Center for Latino-Jewish Relations. SWJC wishes to thank The Ackerman Center for Holocaust Studies at the University of Texas at Dallas for sponsoring and hosting this event and The Center for Latino-Jewish Relations for their support. The event is free and open to the public. Reservations requested; call 214-361-0018 or email Susan Myers at susan@swjc.org. 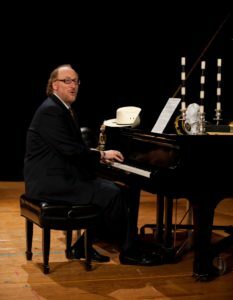 Mark Kreditor is well-known to the Jewish community on many levels. 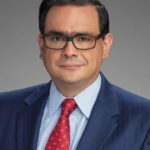 He is the chair-elect of the Jewish Federation of Greater Dallas, served as the Federation’s campaign chair, chaired the JCC’s Bagel Run, and most recently chaired the Dallas Holocaust Museum’s Hope for Humanity Dinner in October. The list truly is endless. One of the things that gives Mark the most pleasure has been his role as teacher in the JCC’s Melton program. 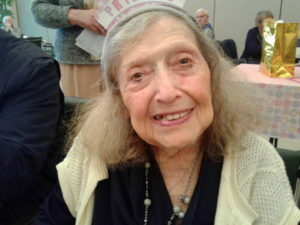 “For the past 15-plus years a special group of students at the JCC have come to my classes that always center on the connection of Jewish artists in the 20th century. We have taught 10-week classes ranging from ‘Sinatra and the Jews’ to ‘The Jews of Hollywood’ to ‘Jews of Tin Pan Alley Parts 1,2,3.’ This past year we have expanded to include other types of artistic expression through the lens of great 20th-century Jewish artists. From Arthur Murray (Moses Teichman) to Ann Landers (Esther Lederer), our fun-filled class explores, often with song and dance, the creative spirit grown from these Jewish individuals and the contributions they have left in this world,” Kreditor explained to the TJP. On Jan. 5, Kreditor’s newest class — “Jewish Artists the Changed the World” — will start at the JCC. While the class is filling, there is still room to sign up. It will run for 10 Thursdays from 10:30 to 11:30 a.m.
“My students are like family and I learn as much from them as they do from the class materials,” said Kreditor. With ages spanning to the 90s there are firsthand stories about many of the memories still vibrant in our community about the featured artists. Students can register by calling Rachelle Weiss Crane, director of Jewish education, at the JCC at 214-239-7127. “It’s an hour each week to travel back in time and experience firsthand what the world was like when these great Jewish artists were leaving their lasting memory on this world,” Kreditor added. 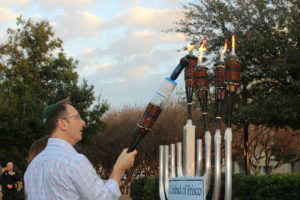 Chabad of Frisco hosted the third annual Community Menorah Lighting in front of the Frisco City Hall on the third night of Hanukkah, Dec. 26. 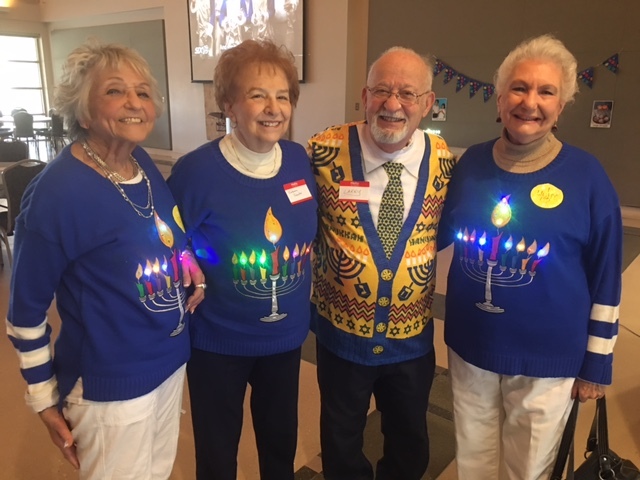 Over 400 people from Frisco and surrounding areas gathered to celebrate Hanukkah — enjoying hot latkes, great music, menorah crafts, face painting, balloon creations and a grand menorah lighting. Rabbi Mendy and Mushkie Kesselman of Chabad of Frisco with Frisco Chief of Police John Bruce. Rabbi Mendy Kesselman welcomed the crowd and shared a Hanukkah message. 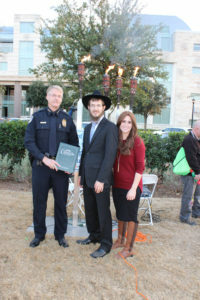 Chabad of Frisco honored Frisco’s Chief of Police Mr. John Bruce with the lighting of the shamash. Mr. Tim Nelson, a member of the City Council, gave remarks on behalf of the Frisco City Council and Mayor’s Office. Mr. Steve Noskin, a member of the Frisco ISD School Board, and his wife Marianne were honored with the lighting of the menorah. Many thanks to the Noskin Family and A Frisco Hebrew School Family for sponsoring the event. A big thank-you to all the volunteers from the community who helped make it all happen. 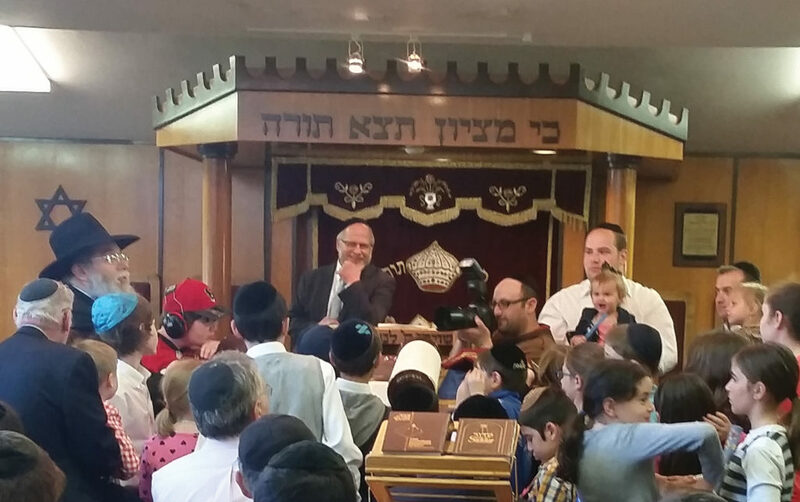 TTI Rosh HaYeshiva Rabbi Daniel Ringelheim inspects shaimos as other community rabbis look on. Cyril Sulski, Rabbi Menachem Block (Chabad of Plano), Bill Finkelstein, Rabbi Howard Wolk (JFS community chaplain), Rabbi Daniel Ringelheim (Texas Torah Institute), Rabbi Eliyahu Kaufman(Texas Torah Institute), Rabbi Yehuda Abrams (DATA COO), Rabbi Eli Nissel (DATA of Plano) and Rabbi Ezra Sarna (Ohr HaTorah). 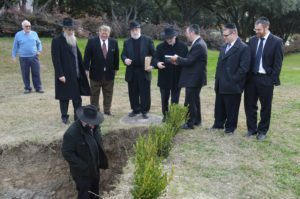 Shaimos were buried Dec. 13 in the newly consecrated section of Mount Zion Gardens, part of United Jewish Cemeteries at Restland. Rabbi Menachem Block (far right) discusses the possibility of adding more shaimos to the geniza a couple of years down the road, since there is room. Listening are (from left) Restland Director of Community Outreach Michael Wilfong, Cyril Sulski and Bill Finkelstein. 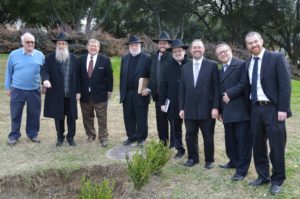 DALLAS — Rabbis and representatives of local Orthodox congregations and organizations gathered Dec. 14 to consecrate a new section of Mount Zion Gardens, part of the United Jewish Cemetery at Restland. “This is for the next 50 years,” said William Finkelstein, president of the UJC, which is spearheading an effort to provide burial plots for the entire Jewish community. 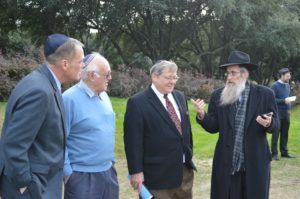 While the United Jewish Cemetery has offerings for all Jewish residents, Finkelstein said the Mount Zion portions are specifically for traditional burial. “It is open to everybody in the community seeking burial with halachic standards,” he said. Finkelstein stressed that Mount Zion Gardens has the approval of all the local Orthodox groups. Several of them turned out for the ceremony, along with Rabbi Howard Wolk, community chaplain for Jewish Family Services. Members of Dallas Chevra Kadisha, Inc., a volunteer burial society, were also on hand. Its members help prepare bodies for burial in the traditional manner. As Michael Wilfong, director of community outreach for Restland, pointed out, there are many small Orthodox congregations and families without affiliation. A procession circled the perimeter of Mount Zion Phase II seven times, with the men chanting Psalms, followed by two memorial prayers, one for martyrs and the other for the fallen soldiers of the IDF. Finkelstein said the verses in the Psalms speak about life, because the cemetery is not a house of death, but beis hachaim — a house of life. The requirements for Mount Zion Gardens include a wooden casket, no embalmed or cremated remains, and the inclusion of Hebrew names on the tombstone. In addition, mourners may or may not rend their clothing, but may not use black ribbons. Some of the standards for the other gardens are a little different. Phase I of Mount Zion at Restland has 160 plots, while Phase II has 200. There are now four spaces, including two at Sparkman Hillcrest, under the Mount Zion Gardens name. “I think (Finkelstein) was pretty visionary, seeing the needs of the Jewish community, if you look at the cemeteries, you need to set aside a space for them and find a way to make it happen,” Wilfong said. The need was recognized in 2000. In 2001, the Mount Zion United Jewish Cemetery group was created and purchased land at Sparkman Hillcrest for traditional burial. In 2008, the group bought land at Restland and put together three separate spaces: one for a second Mount Zion Gardens; one specifically for congregations to purchase (in this case, by Beth Torah); and Sinai Gardens, for the community at large, including the unaffiliated and families with non-Jewish members. Over the years, Nishmat Am and Anshai Torah bought portions of the UJC land at Restland. Last year, a second portion of Mount Zion at Sparkman Hillcrest was created, but the need continued. Now, UJC has not only created a second location for Mount Zion at Restland, but additional spaces for the other existing gardens. Finkelstein said there are still unassigned areas he is hoping other congregations will be interested in. Wilfong said it is not unusual for religious groups to band together for communal burial grounds. The Islamic Association of North Texas has a large area at Restland for their members, and the Christian Orthodox churches have a space, too. And while they don’t have a dedicated section of their own, Vietnamese Baptist churches have ensured that they are within the same general section. In addition to the consecration, there was the burial of shaimos — sacred texts worn beyond usage. Determining which texts are eligible is not always easy, as many materials can still be used again, even if nobody wants them. 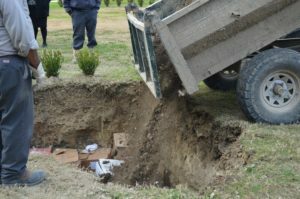 Just before they were buried, Texas Torah Institute’s Rabbi Daniel Ringelheim leaped into the pit to rescue a book that he felt might still be serviceable. 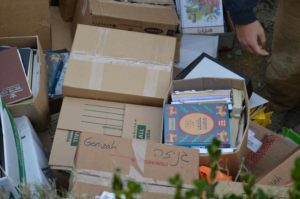 Donations were requested for each of the boxes of texts to support the Federation’s Indigent Burial Program, overseen by JFS. “No member of the Jewish community should be denied burial because of finances,” Wolk said. Wolk, who serves as halachic advisor to Mount Zion Gardens and Sinai Gardens, said it was “an important note of unity” to have the different Orthodox groups come together for the cemetery and the burial of shaimos. “It needs to be demonstrated not just when burying holy books, but now and always,” he said. What is your take on the U.N. Security Council vote condemning Israel falling out right before Hanukkah? The significance of this disgraceful event falling out when it did was not lost even on the most secular of Israeli MKs, many of whom made mention of its obvious connection to Hanukkah, a time when we overcame our enemies against all odds. I think, however sadly, that the true message of Hanukkah was, nevertheless, lost among many, even as they saw a connection between these events. This is not a new mistake, but goes back to the beginning of the State of Israel. The predominant outlook upon Hanukkah and the Maccabees is as upon mighty Jewish warriors who stood up with great physical strength and fortitude, exercising their tremendous military prowess which enabled them, although greatly outnumbered, to triumph valiantly against the wicked Syrian-Greek oppressors. It is this great pride in the physical might of the Maccabees which has, for example, led to the naming of Tel Aviv’s soccer team “Maccabee Tel Aviv,” also an example of skill, strength and stamina! Nothing could be further from the truth! The Maccabees were not mighty warriors, nor had they even the least bit of military training; they were yeshiva students who spent their days and nights studying Torah! The Siddur, the traditional prayerbook, written by the sages of the generation in which this miracle took place, says the following: “In the days of Mattisyahu … the High Priest, the Hasmonean and his sons, when the wicked Greek kingdom rose up against Your people Israel to make them forget Your Torah and compel them to stray from the statutes of Your will, You in Your great mercy stood up for them in their time of distress. You took up their grievance, judged their claim and avenged their wrong. You delivered the strong into the hands of the weak, the many into the hands of the few, the impure into the hands of the pure, the wicked into the hands of the righteous, and the wanton into the hands of the diligent students of Your Torah…” (ArtScroll Siddur, p. 187). The Maccabees were not at all the “strong” ones; their hands were “the hands of the weak”! They did not, in the least way, rely upon their own military prowess, rather considered themselves emissaries of the Al-mighty; it was His victory, not their own! True, God delivered that miraculous victory because of the Maccabees’ willingness to fight and even give up their own lives for the sake of God’s Torah, but only because they relied upon God’s providence and His infinite ability to defeat even the strongest of armies despite the weakness and puniness of their physical capabilities did they fight that war. Many commentaries explain that the purpose of the miracle of the menorah was to make sure the people didn’t mistakenly attribute the defeat of the Greeks to the strength of the Jews, and to remember it was a God-given gift, like the menorah which stayed lit far beyond its physical capabilities. The message of the Security Council vote and the Obama administration, joined by the rest of the world, throwing Israel under the bus is not that “we” will overcome, or that Trump will save us. It is that if we connect ourselves to that which the Maccabees did, to the Al-mighty and His Torah, then God will continue to rescue us as He did so many years ago! According to Kabbalistic sources, the final rays of Rosh Hashanah and Yom Kippur shine until the days of Hanukkah. The Hanukkah lights are our connection of light in a time of darkness to ward off the final attempt by our detractors to pass a negative judgment against us. We have received a wake-up call at the last moment of judgment to utilize the lights of Hanukkah for what they symbolize, the light of Torah, and that light will ward off much darkness. They will, in turn, illuminate our Jewish homes and spread throughout the entire world, sending a message of light, peace and joy which will continue to ensure the continuity of the Eternal Nation. A joyous Hanukkah to all! My cousin Michael — the one who has taken on that immense task of compiling all the leaves on our many-branched family tree — had a very special relationship with the grandpa he called Zaidy (Michael’s spelling). Since Zaidy’s passing was during Hanukkah of 1978, Michael has made this his time of cemetery pilgrimage. And memories. And this is what Reb Shlomo taught: We light the Hanukkah candles when the darkness and cold of winter reach their strongest points. With each passing day of Hanukkah, the number of lights gets greater, and the warmth emitted by these lights gets stronger. By the eighth day of Hanukkah, we will have lit 36 candles (1+2+3+4+5+6+7+8, not counting the shamash that serves them all). These 36 candles symbolically correspond to the 36 hidden tzaddikim, the righteous individuals who, unidentified to us, are the pillars of our universe. “Fret not at my passing, nor cry bitter tears. The Lord has been good to me for, lo, these 90 years. “Don’t think I’m blind to tragedy, or that all my life was calm. But despite the storms and wounds I’ve witnessed, my family served as healing balm. “I’ve lived to see children’s children, and to me they were truly grand. As I say goodbye to you, I pray that at God’s right I might stand. Because of what Michael has shared, I will stand before my menorah tonight with new knowledge and appreciation of those eight shining candles. May all of you do the same. On Oct. 31, Dr. Michael Korenman laid his scalpel down and retired from the practice of surgery. Dr. Korenman began his surgical practice in 1979. Taking calls at four hospitals, the next few years were very busy. He eventually narrowed his practice to All Saints Hospital and Harris Methodist. In 1989 and 1990, surgery changed forever with the introduction of minimal access surgery. This approach had to be learned quickly by doctors who were skilled at open surgery but uncomfortable with these new instruments and video cameras. Dr. Korenman helped to introduce the new procedure to Fort Worth, participating in the first laparoscopic gallbladder operation done here and helping to craft the regulations needed to credential surgeons who had never done this before. 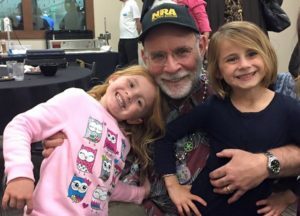 Dr. Michael Korenman poses with granddaughters Layla and Emeline. Korenman began surgical practice in 1979 and recently retired. He served as chief of surgery at All Saints and went on to become the secretary, vice chief and finally chief of staff. He continued a wide-ranging surgical practice for 37 years. 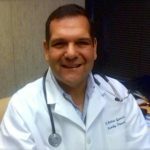 In 2003, Dr. Korenman helped to form a multi-specialty group, Texas Health Care, PLLC, which has now grown to 150 physicians. He remained on the board of managers for almost 14 years. In addition to helping sick folks, Dr. Korenman was also active in the Jewish community. He was a longtime member of the board of the Jewish Federation, eventually becoming the campaign chair and the president of the Federation. He became active in the movement to bring Torah-observant Judaism to Fort Worth, first by helping to start the Working Group for Traditional Judaism in Fort Worth and Tarrant County, and then as a supporter of the Young Israel of Fort Worth and now Chabad of Fort Worth. He enjoys leading services and is called upon to do the Haftorah most weeks. With his calendar clear, Dr. Korenman, a sixth-degree black belt in karate, will be occupied teaching self-defense, alongside his teacher of 30 years, Grandmaster Richard Morris. He will be traveling with his wife Etta, both to Israel and to visit with children, Joey and wife Amy, grandchildren Layla, Emeline and Elliott in Florida, and also Adam and wife Corinne in Los Angeles. Of course, daughter Sarah, son-in-law Jay, and their daughter Matilda are a powerful draw to continue spending significant time in Fort Worth. He will be available for consultation as an expert witness. Rabbi Rafi (left) addresses administrators, board members and educators with Texans Can Academies President and CEO Richard Marquez. DALLAS — The rabbi who heads an influential neurological institute based in Jerusalem will be teaming up with Texans Can Academies to host an international conference here in June. As a result, Texas will become a hub of training for educators and medical professionals. “This is a journey that has taken me 26 years,” said Texans Can President and CEO Richard Marquez, a longtime advocate of the institute’s methods to develop and improve thinking. 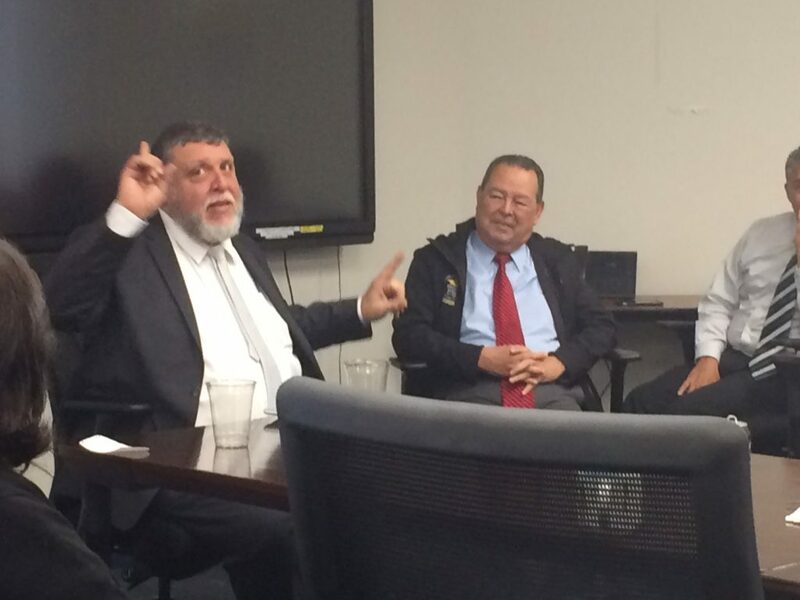 Rabbi Rafi Feuerstein, the head of the Feuerstein Institute, spent a busy week in town, serving as scholar-in-residence at Shaare Tefilla, as well as meeting with veterans’ advocacy groups, philanthropists, retired members of the NFL Players Association, and medical and educational organizations. But a key part of the trip was his time at Texans Can, which is the largest organization in the United States using the Feuerstein Instrumental Enrichment program. Texans Can has been working to create its own trainers, who will play a key role in June at the Feuerstein Institute Conference and beyond, allowing other scholastic systems to benefit. So will those combating brain injuries or trying to prevent dementia. “After six years of this method here, we are going to go out and share with other schools, other educators,” Feuerstein said. 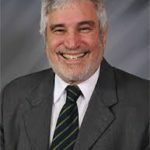 Feuerstein’s father, Rabbi Reuven Feuerstein, spent more than 50 years trying to convince educators and medical professionals that instead of focusing on knowledge, it’s important to work on methods that encourage thinking, with teachers acting as mediators. Reuven Feuerstein won the Israel Prize for Social Sciences in 1992 and was nominated for the Nobel Peace Prize in 2012. Rafi Feuerstein said he has a “deep partnership” with the 13-campus charter school system due to a shared philosophy. The academies’ motto is “Graduating Thinkers,” while Feuerstein consistently warns that education is undervaluing the thinking process. Feuerstein, who has done a great deal of work for those in difficult socio-economic situations, said he was impressed with the way Marquez approaches education. Texans Can is devoted entirely to children struggling with traditional schools. “He said, ‘I am not competing with schools, I am competing with the streets,’” Feuerstein said. For more than two decades, Marquez has sought to use and share the FIE concept. In 1990, he was an advisor to the U.S. secretary of education, dealing with the dropout rate. “I found in the reading literature the term ‘metacognition,’” Marquez said. “I had never heard of it before. It led me to the work of Dr. Reuven Feuerstein. It may seem unusual to have a major scientific organization led by a rabbi and founded by another one. But Feuerstein said his father’s faith helped shape the Feuerstein method. That universality is a major key to the work, developed as Reuven Feuerstein helped immigrants and the disadvantaged in Israel to succeed. Over the years, that grew into work with those who have Down syndrome and with injured soldiers. That concept was originally met with scorn in scientific circles, but it has grown more acceptable. Still, there are hurdles to spreading the FIE method. The educational world has long focused on facts and figures. During his trip, Feuerstein saw a teacher at the Ross Avenue school teach the concept of alternatives. “She used them to bring the knowledge out. She taught them to think. The main tool of the mediator is the question,” Feuerstein said. “If you are mediating all day, you are thinking all day,” Marquez added. Having teachers who can properly put the Feuerstein method into action is key to making it work. “That is the most difficult piece. The follow-up has to be there,” Marquez said. “It’s not a yes or no question. You have to create the right question, to think. “‘What do you think?’ is a central question. We try to bring awareness to ‘How do you think?’” Feuerstein said. This is why the institute and the academies are both looking forward to the June conference. But until recently, he’s had to send teachers and administrators to Europe or Israel to be trained. To date, the Feuerstein Institute Conference has been held 37 times, all in Europe. “Instead of us flying people to Prague or Florence, we can train people here,” Marquez said. When they are in the classroom, teachers using the FIE program help facilitate learning as opposed to lecturing. “Knowledge doesn’t have the same place it had 20 years ago,” Feuerstein said. Holding up a smartphone, he stated, “In this machine I have more knowledge than all the teachers in the world. So what’s the reason to teach knowledge? While Texans Can Academies works with what Marquez calls “non-traditional students,” Feuerstein has used FIE programs for every age and ability. Brain injuries and dementia are a growing focus. The same method used for the kids at Texans Can has helped a wide range of people. That includes doctors and pilots sharpening their skills, students with Down syndrome (including one of Feuerstein’s sons) or autism, Ethiopian-Israelis looking to overcome cultural obstacles, and an Israeli soldier who regained speech after losing the part of the brain with his speech center. FIE takes a positive approach, that existing skills are the ones to prioritize, not areas of existing weakness. Feuerstein said that gives people with little education an equal starting point. As a result, he said, schools need to become potential-oriented. Marquez agrees. He said students with ADHD and dyslexia have shown significant growth. Texans Can administrators and educators shared their own stories at a recent board meeting for Feuerstein to hear, and Marquez noted that students and teachers have also been able to grow outside the classroom from the experience. “It also changes the quality of life. You transfer those skills to your own life,” he said. The Feuerstein Institute Conference will be held Sunday, June 18, through Friday, June 30. Feuerstein hopes for a big turnout from not only educators and medical professionals but nonprofits and other organizations. Some of the areas of clinical work that the Feuerstein method can be used for include efforts for patients with head injuries, as well as developmental, genetic or intellectual disabilities. For more information on the Feuerstein Institute, visit Feuerstein-global.org. For more information about Texans Can Academies, visit www.texanscan.org.